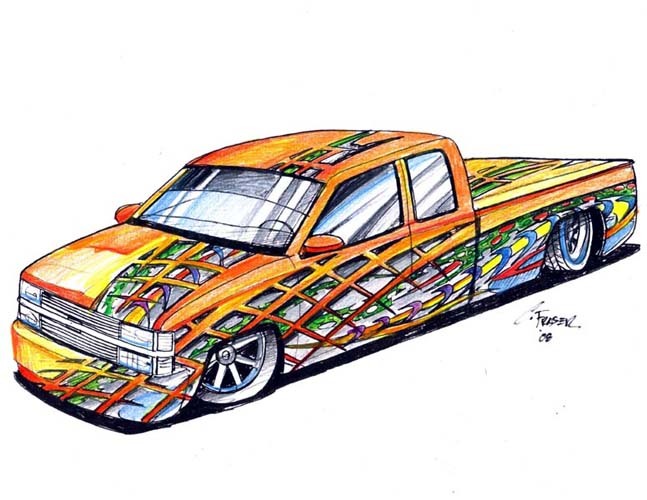 I know,..I know, it is not an S-10 rendering. But we did base the graphics on Dion's "Look Again" S-10 from this rendering. When the vehicle is in-house, it is not necessary to re-do the rendering with such subtle changes as the model of truck,....hehehhh. Paint on..